Allegan General Hospital knows a thing or two about long-term relationships. Having served the needs of its namesake southwest Michigan community for almost eight decades, the hospital is well aware of what it means to be a trusted partner. When the doctors at Allegan need to get their hands on state-of-the-art equipment to make the right diagnoses and provide the best treatment for their patients, the hospital naturally turns to another long-term partner – First American Healthcare Finance. With a population of only around 5,000 residents, Allegan may be considered a small town. And yet Allegan General Hospital takes seriously and very personally its commitment to serve these residents. To this end, having the latest treatments and equipment available is paramount – and is also a task that can present considerable challenges for CFO Richard Harning. Fortunately, First American helps Harning deliver on big expectations despite being a small hospital with limited resources. As part of Harning’s position at the hospital, he is contacted by many leasing companies but chooses to work with First American because they have the best rates and services. Since First American is part of a bank, they offer much lower rates than the other leasing companies can offer. Since the hospital had an existing bond in place and was already approaching the limitations of its covenants, the project could not be funded through cash or debt. First American offered a 60-month operating lease that allowed the hospital to achieve off-balance sheet treatment. When Allegan needed a Picture Archiving and Communication System (PACS) to upgrade the digital image storage capacity in its busy radiology department, First American helped Harning finance the costly system without disrupting cash flow. Bringing on this new technology had been planned for nearly five years, and Harning admits First American was critical to making it happen. When Harning gets an equipment request from hospital staff, he sends the quote directly to his First American Project Manager. Having a single point of contact removes the complexity from these types of orders, and makes the entire process efficient and easy. He also opened a lease-line of credit he can draw from whenever the need for new equipment arises. 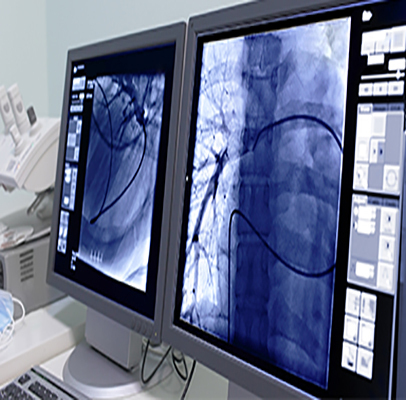 Along with the PACS, Harning was able to lease a C-Arm, fluroscopy and radiology equipment, the buildout of a new pain clinic, software, IT equipment, and a surgical tower expansion, including services. Indeed, the relationship between Allegan and First American is based on more than just the dollars and cents needed to make large-scale acquisitions. Just as the community turns to the hospital for its critical medical care, Harning too prefers to turn to a trusted strategic partner that has proven its ability to help the hospital meet its strategic goals. Harning knows that with First American, he has a longtime, loyal partner that is as committed to helping Allegan serve its community as the hospital itself has been for years. "This is easy and flexible. As equipment comes up on our radar, we can get it financed quickly. The First American team is professional and fast, and I love that."